How young do you teach kids to play ukulele? I get asked this a lot. This picture is of my son, Micah, at a year and half. I have found most kids three and under can learn the Am7 chord (play all strings open on the ukulele) and the C chord (press one finger on the third fret of the 1st string). And they love to dance around while holding the ukulele and strumming. These lessons are a blast because we focus on just having fun! 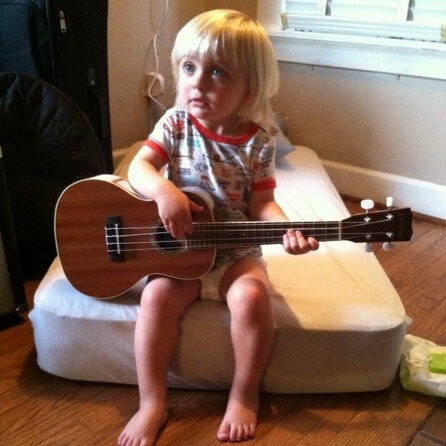 If you are interested in ukulele lessons for your little one message me here, or at 509-540-2573, or at band@micahandmerocks.com!